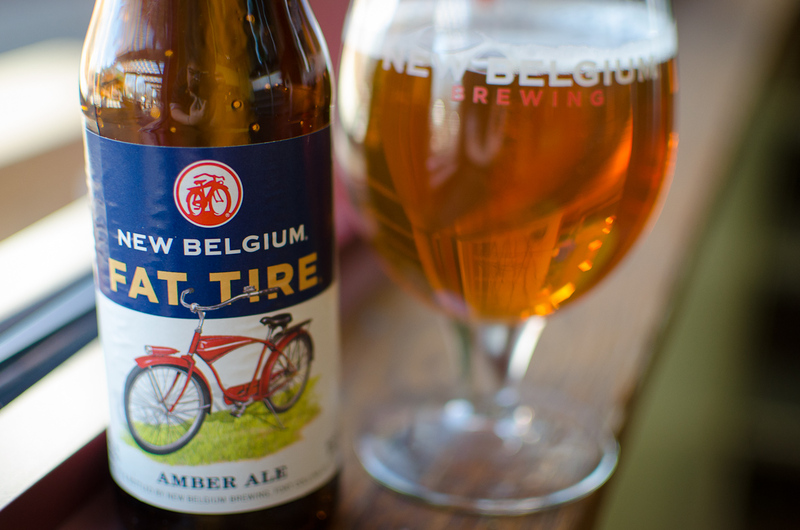 I have been drinking Fat Tire, an amber ale made by craft brewer New Belgium from Fort Collins, Colo., since about 1994. The problem is that when I moved to Calgary in 1996 I was no longer able to obtain my favourite beer, except during the odd road trip south to Montana. There I would buy a couple six packs for, like, $8, drive them back to Canada and then parcel them out stingily over the next several months like a reluctant hoarder forced to purge her beer fridge. All hail Fat Tire! My fave amber ale from my home state is now available in my home province. What took you so long? Image courtesy New Belgium Brewing Company. Alas, as the years went by my dedication to Fat Tire wavered. I found myself drinking brown ales and wheat ales and even (gasp!) lesser lagers. Sure, I still ordered Fat Tire when we were south of the border and it was on tap, but I was no longer insistent about bringing it back to Canada. 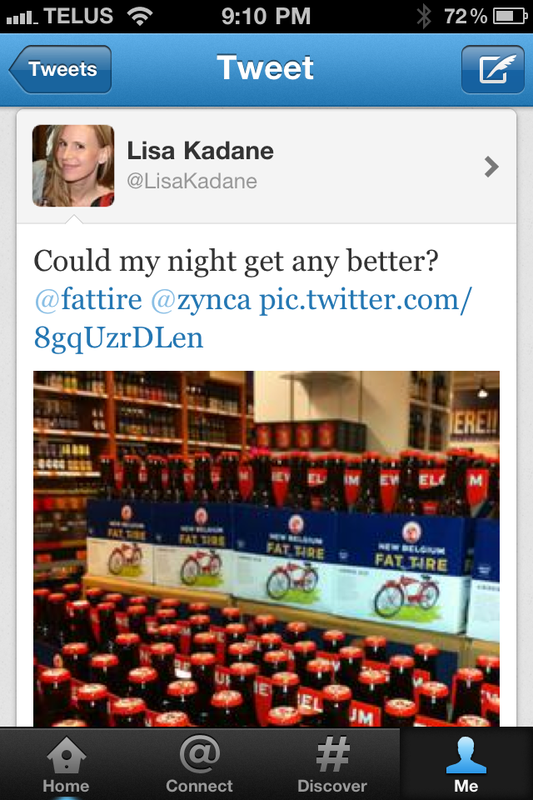 Sharing my Fat Tire excitement on social media. The bad news is that in Calgary, a couple six packs of Fat Tire cost, like, $38. The question then becomes, is it worth it? Well, I still really love the taste of this beer. However, now that there are so many other great craft beers out there, it no longer knocks my socks off like it used to. Maybe part of its appeal was the “forbidden fruit” factor — how something unattainable becomes more desirable? Now that I can get it here, the reality of its high-tax Canadian price tag brings it down to Earth. Bottom line: Fat Tire is still a great amber ale. Try it. If you like it, Montana is just a three-hour drive south. This entry was posted in Cocktails and tagged Fat Tire amber ale, Fat Tire now available in Alberta, New Belgium craft brewer. Bookmark the permalink.